Today, I was out running errands and came across a yard sale. Woot Woot. My first yard sale in over 2 years!!! When we lived in Cranberry Twp. there were community yard sales every week from May to August! I had to turn around and go check it out. 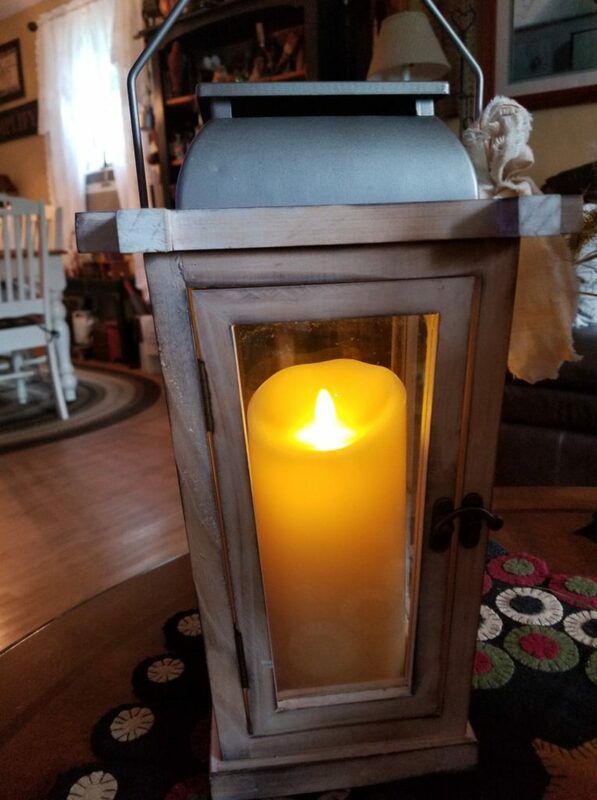 She had some really nice things, but this lantern caught my eye and for only $4. I wasn’t sure what or where I was going to use it, but I never pass up a bargain. 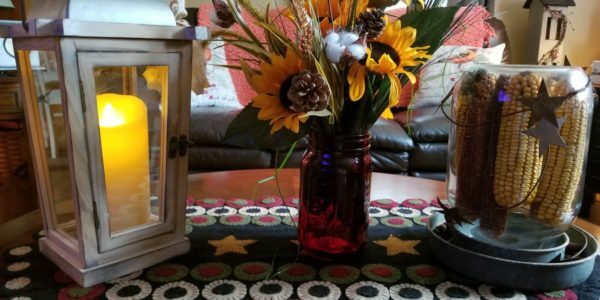 I have this timer candle that I bought at JoAnn Fabrics a couple years ago with a 60% off coupon. It’s a large one and I haven’t seen any this size since then. It has the fake flame that moves around that makes it look so real..and I do love the timer that comes on for about 6 hrs. I had it in a vintage chicken waterer that I bought several years ago at an Antique Mall..for only $12. So the candle went into the lantern, now what do I put in the chicken waterer? Then I remembered some dried corn my hubby keeps in the shed for the squirrels and chipmunks. 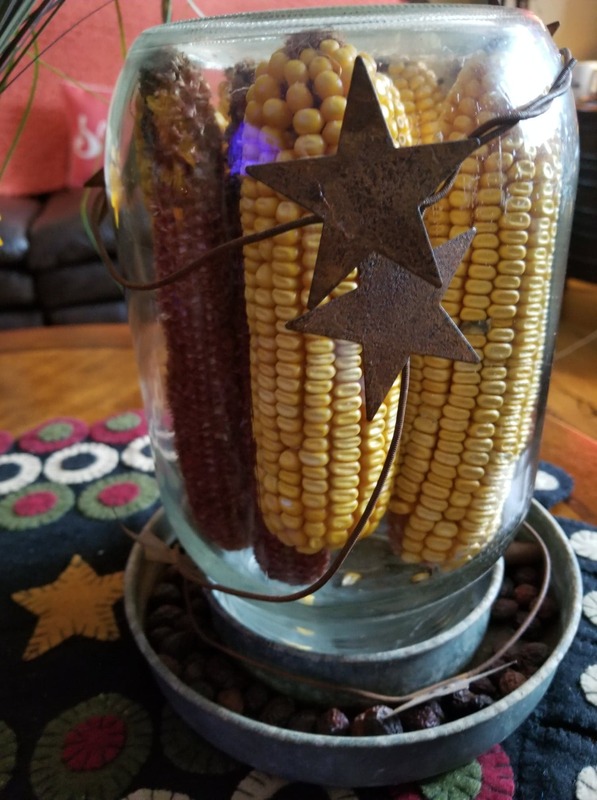 I did see a Pinterest photo of corn in a large glass gallon jar, so that was my inspiration. I put some rose hips in the bottom. I’ve had this rusty star garland for years…it was a yard sale find too. 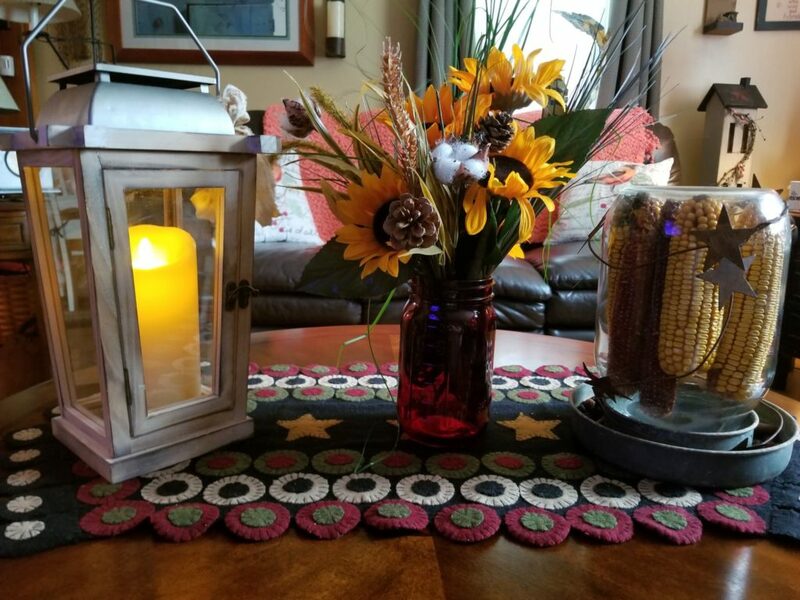 I found this red mason jar at Goodwill for 99 cents and the flowers are from the Dollar Tree! They have these cute sprays with cotton balls and feathers! 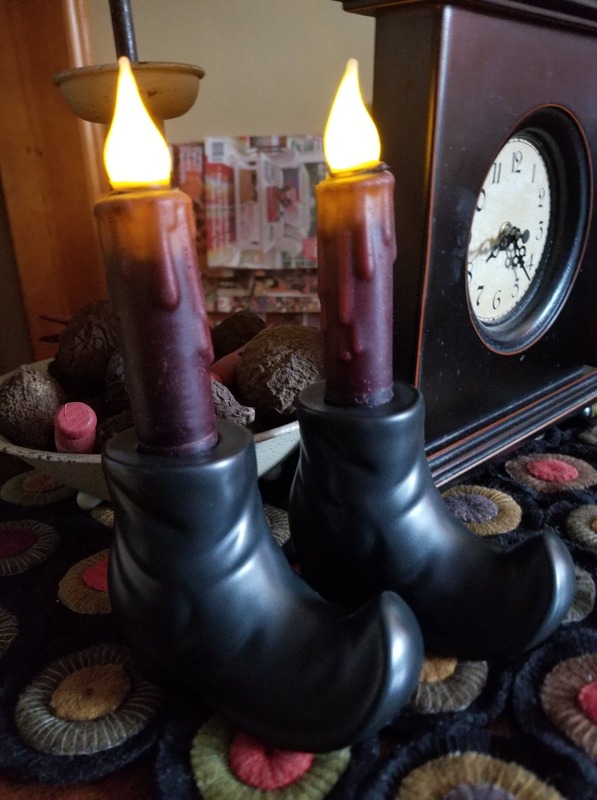 Oh, and I also bought these witches shoes for $1. They are so cute! 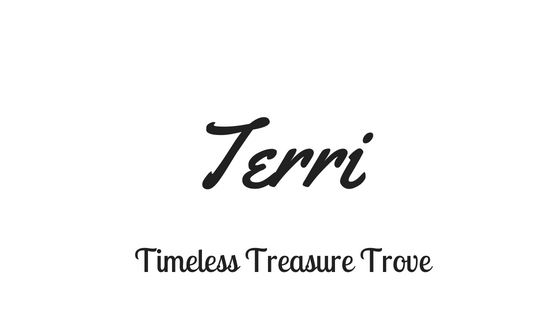 Hope you are inspired to be looking for thrift store or yard sale items! While you are here, take a look around and view my other posts!! Show Us Some Love and Like Or Comment On This Post!